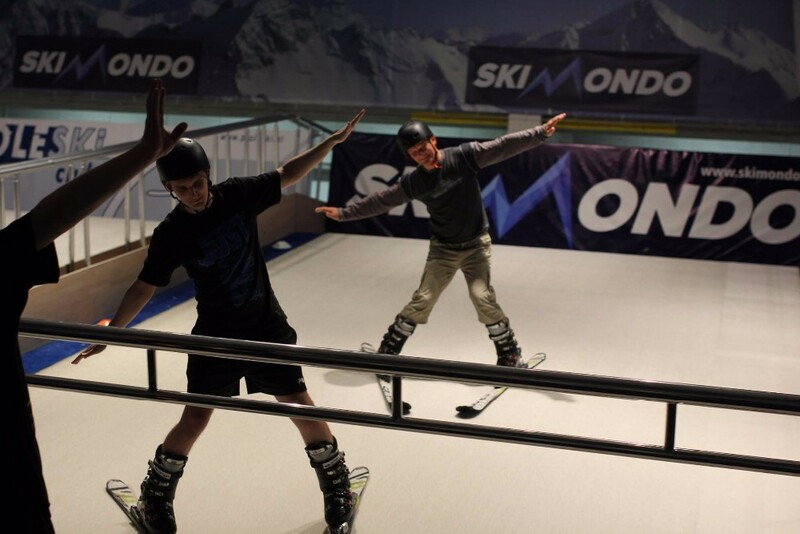 With our ski simulators, you will definitely draw attention to your facility. PROLESKI company can provide ready-made solutions for your business, based on years of practical management of our ski clubs around the world and recommendations from our clients. Evolving technologies and powerful development tools are a must in PROLESKI infinite slopes simulator manufacturing. 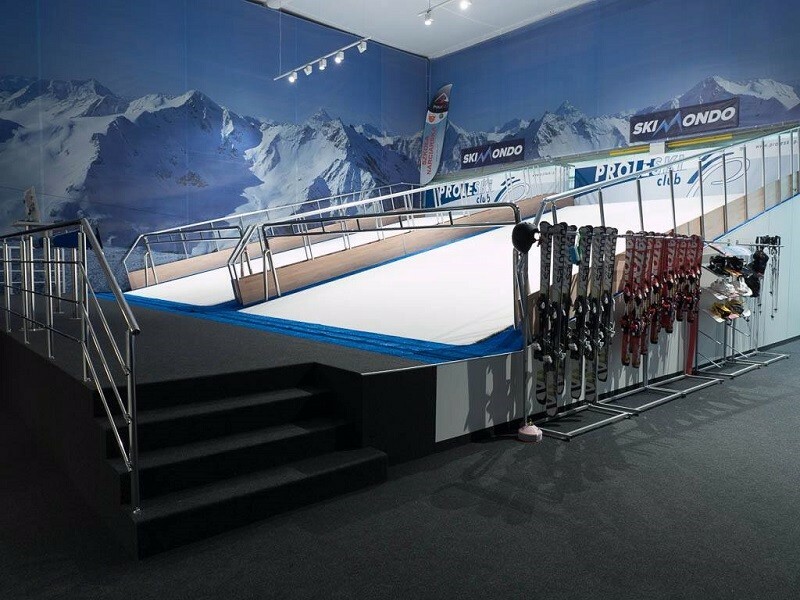 Benefit and expand areas of your business by spotlighting it with our ski simulator. Increase your profit by attracting customers of all ages, interests, goals, and level of sport-orientation with the PROLESKI company indoor infinite treadmill machine. Our dry slopes can be used regardless outdoor conditions and in different types of premises. Dimensions of each machine differ and can be adjusted and calculated to fit into your desired space upon your request. All you need to give us is the location and properties of the building. Furthermore, we have extensive experience in distributing the weight load of the simulator on the floor slab with a valid value from 200 kg/m2 or higher. 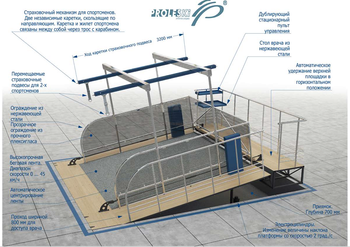 Selection of the simulator depends on many parameters. Concepts include professional and amateur sports, fitness, championship training, recreational, fun and friendly activities. Today culture and business revolve around active, healthy lifestyle. Creating an indoors interactive environment is bound to attract new customers, who will learn new skills and hone past ones, thus contributing to your business. 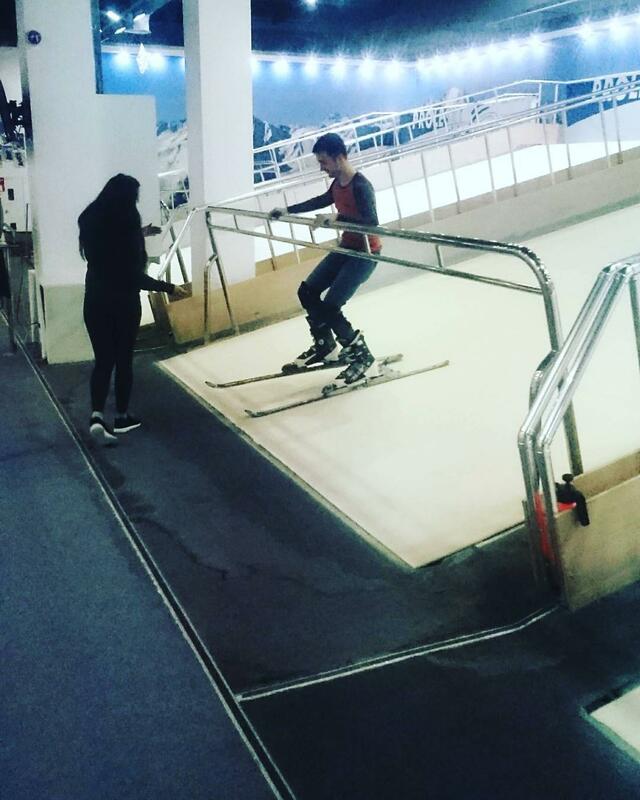 Our company is constantly improving the functionality of the cross-country ski simulators for high sportsmanship and means to yield maximum results in minimal time. We collaborate with the Research Institute of Physical Education and Sports, biathlon coaches, roller skiers, sports medicine doctors, and physical therapists and implement necessary conditions, based on the latest analytics, performance, and behavioral data. PROLESKI company excels in the market by the vast model range and its modifications and never stopping improvements of our products. You can choose from Optimal, Vertical, Direction series, available for purchase in Greece. For athletes with the professional qualification, we have designed special simulators of the Cross and the Direction+Sport series with the increased motion of the speed of the band and dynamic change of the speeding-up. Thread mill is designed for roller skiers, biathletes, cyclists, cross-country skiers, ski boarders, cold-weather bikers. 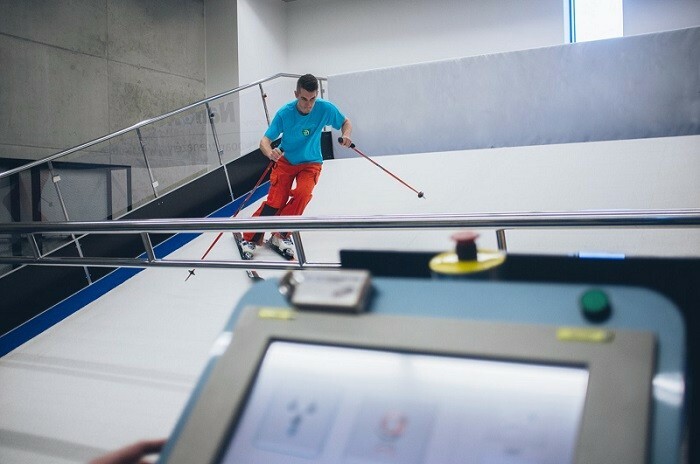 Lead coaches recommend alpine ski treadmill workouts not only as a physical therapy, but also to be part of the international competitions training program. A wider range of platform inclination angles with high-positioning accuracy provide opportunities to reproduce slopes, mountain and road terrains with ascends and descends. «Bumps and jumps» function allows to simulate close to real life conditions of different track reliefs. 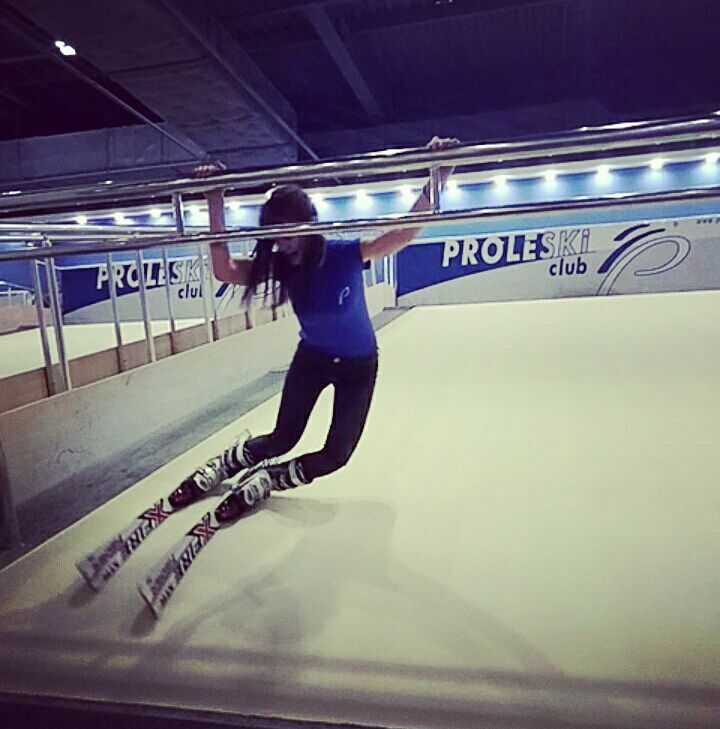 Proleski company tries their best to satisfy desires of an athlete, so we do not limit runs on the simulator to standard reliefs only, we also gather all available tracks, terrains, routes of world championships, competitions, and events. Proleski company is very considerate towards safety. To guarantee athlete’s security, we equipped our simulators with smooth dynamic acceleration and stoppage, belay with the suspension system of straps, sensor system, and a protective mat - are all parts of the robust, safety system. The band is made of abrasive-resistant (AR) materials, capable of withstanding heavy loads and is glue-free. To enhance carpet slipping, prolong its life term, and to reduce the friction force between the working surface of skis or snowboard and the nap surface, we recommend applying special concentrate (no color, odor, is chemically inert). No more manual moistening, everything is done automatically. Our simulators and the software (intuitive, functional and multi-language system) are developed to optimize the training and to shape the most rewarding results in minimum time. Higher reliability of the lifting mechanisms without using of the hydraulics significantly increases the safety of the equipment and the precision of positioning. 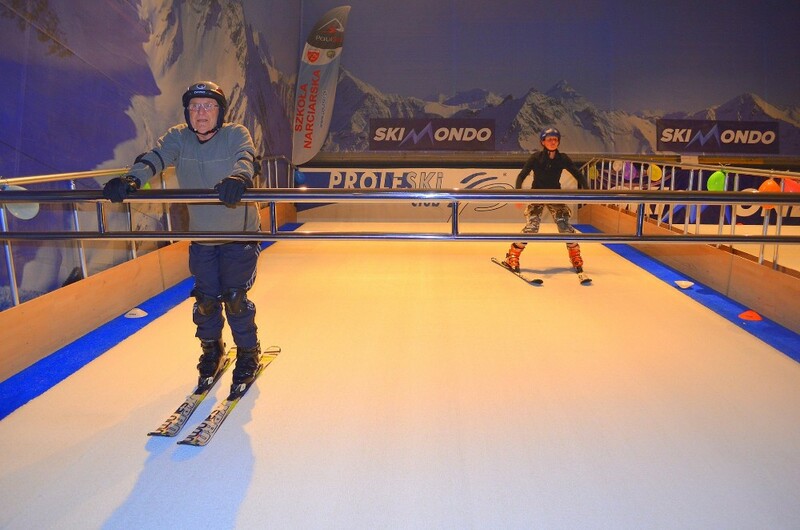 PROLESKI indoor ski simulator’s principle of work is similar to the one of a running track but has much larger dimensions. 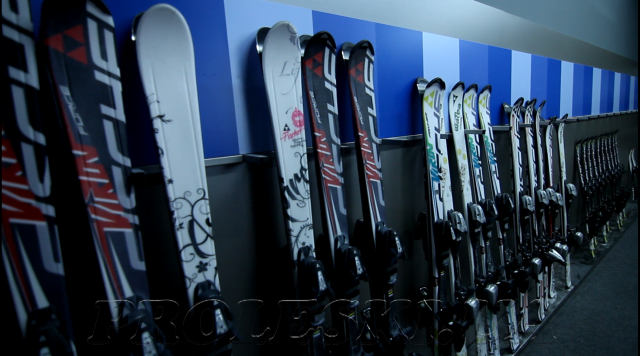 Club uses real equipment (skis, ski boots, ski poles or a snowboard) for training. Clients can also bring personal gear. We are able to manufacture any configuration of the simulator upon your request, based on your goals and features of the indoor space. For commercial use, we recommend at least two simulators. Simulators` quantity should be selected based on the anticipated flow of clients. Our company provides a 2-year (24-month) warranty. 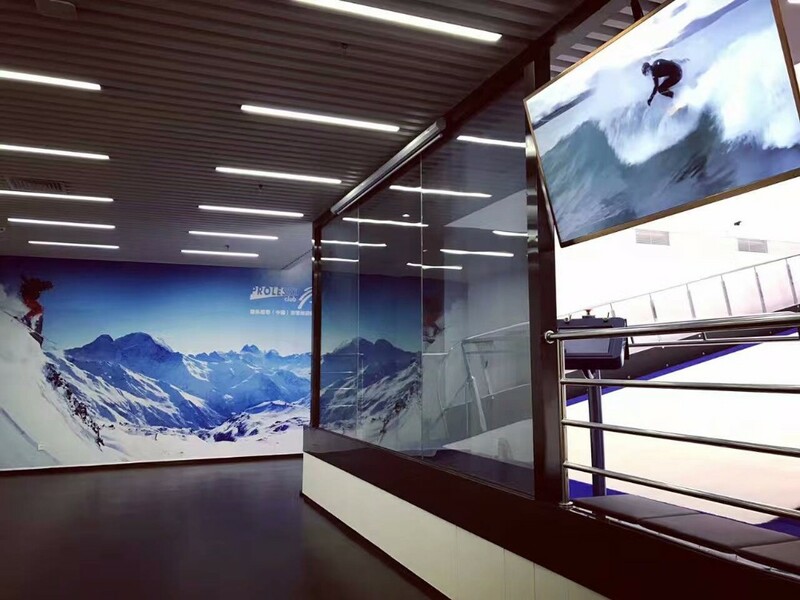 We are providing technical assistance services for the ski simulator during warranty and post-warranty term on a contract basis. The range of use: for improving sports mastery of the sportsmen. 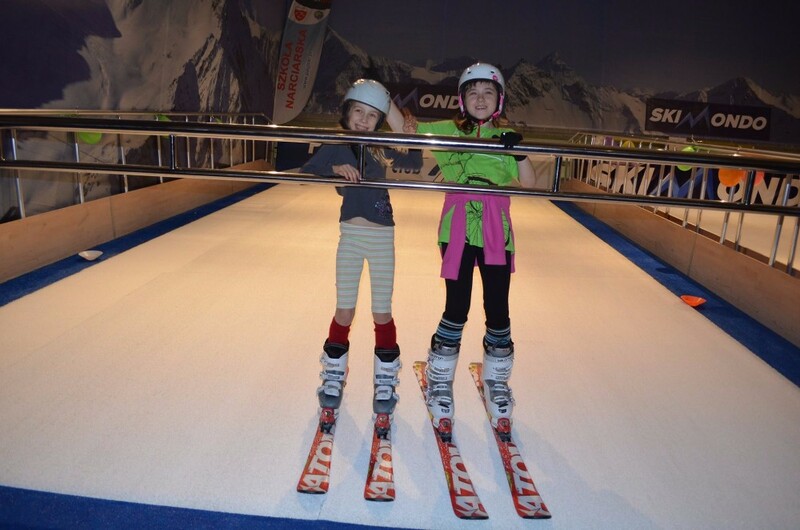 Options of locations: sports establishments, sports clubs, ski schools, training complexes. We always strive to keep pushing toward the next technical evolution. 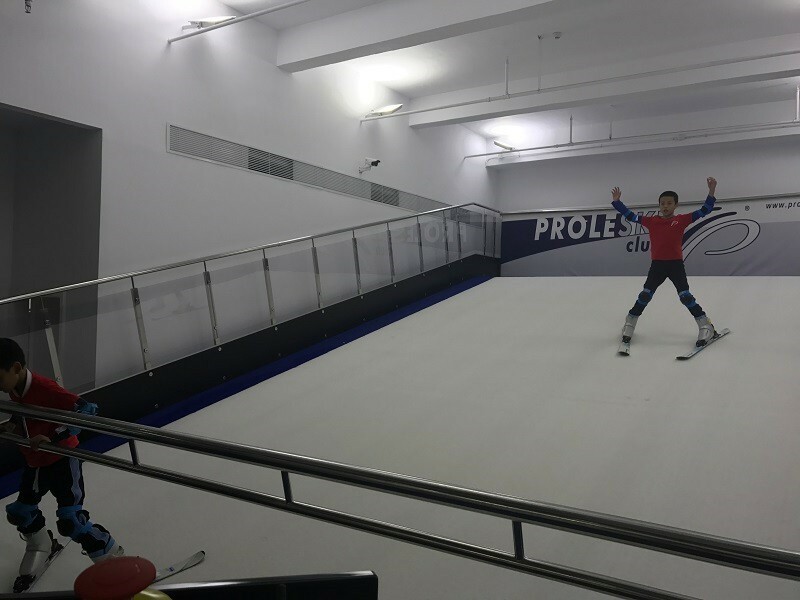 Our company develops endless slopes PROLESKI specially designed for training in such ski sports as biathlon and roller skiing, where competitions take place at cross-country. 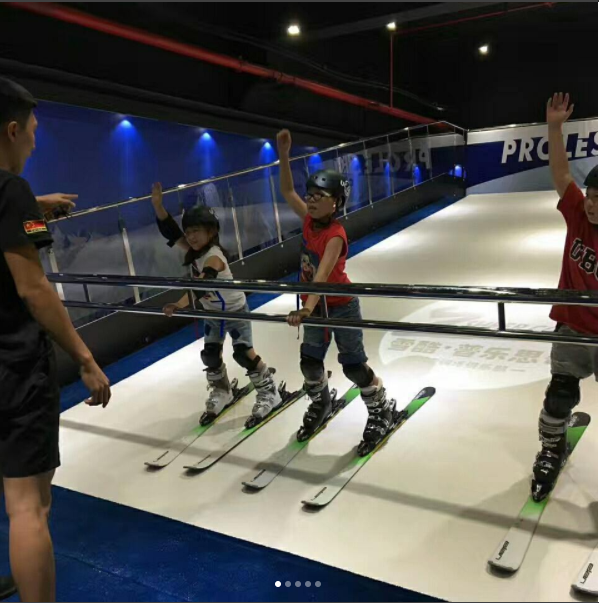 Ski simulator PROLESKI PRO1 CROSS is designed and engineered so that it dynamically changes tilt angle of the moving band vertically, creating an imitation of the lift or slope. Also, PRO1 CROSS version has the band speeding-up. This modification of the ski simulator provides the opportunity to exceptionally effectively prepare sportsmen for the forthcoming season, and the range of angles changing is much wider than foreign analogues can propose. 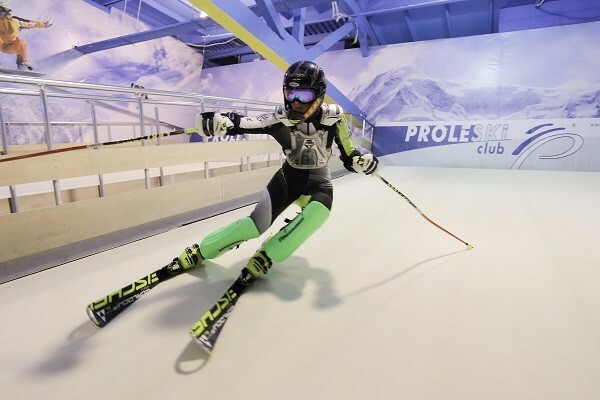 In the production of ski simulators PROLESKI, our company utilizes only high-quality materials from the leading international manufacturers: Siemens, Forbo, SKF, etc. We pay special attention to the security issues. 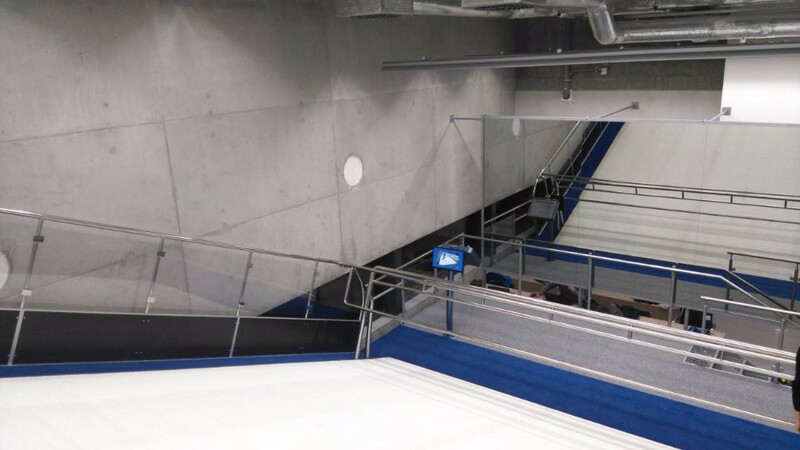 For example, in the model of the endless slope PRO1 CROSS, there is provided a possibility of the band system emergency shutdown and system of special perimeter fencing. In addition, this model has 2 fixed control panels in its kit and possibility of the automatic self-leveling of the upper platform in a horizontal surface.